Why would you want to replace your current weight-based exercises with calisthenics? There are many benefits to calisthenics which I lay out here. But in short, when you know bodyweight exercise alternatives to common gym exercises, it gives you freedom. You can work out anywhere and know exactly how to target a certain muscle group. You can travel the world and not worry about if you’ll be able to find a gym. Yes, bodyweight training truly does give you freedom. If you are making the transition from weight-based training (or you’d like to incorporate more bodyweight exercises into your current weight-routine) this article will help. Below, I’ve listed out 45 common weight-based exercises. There are exercises for every body part. Right next to it, I’ve listed the calisthenics alternative. The bodyweight variations target the same muscle groups. Many of the exercises will be completely new to you. That’s why I’ve included links back to Youtube so you can learn the techniques. Feel free to use the exercises in any way you want, but if you want do them within a structured program, I got just the thing for you. Now, Weight-based training and Bodyweight training are not COMPLETELY the same. Its not quite like comparing apples to apples. It takes a bit more creativity to target certain muscle groups when using bodyweight training. Sometimes, you have to invert yourself on a pull up bar, or stretch your arms out far while your laying on the ground, or use everyday household objects. Yes, it takes more creativity… but its so much more fun. 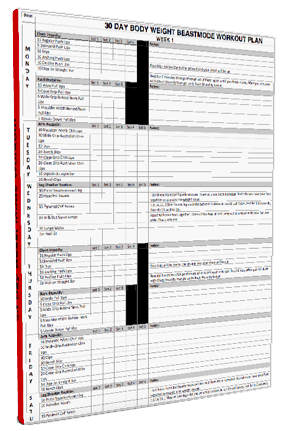 Of course, I’ve laid it out for you so all you need to do is apply the bodyweight alternatives to your own routine. Before we get into the exercise variations, let’s cover some basics. When Should I Apply These Bodyweight Alternatives? I am a big believer in variation. The late, great Jack Lalanne once said that he completely changed up his routine every 30 days. 30 days is a bit much for most people but the point is that you need to switch up your routine in order to avoid plateau. If you’ve been using weights for awhile and aren’t seeing results, switch a few of your current exercises to these bodyweight alternatives. They work the same muscle group but target them in a slightly different way. An additional benefit is that most of these exercises build whole body strength. The synergistic muscles will be targeted along with the major ones. If you are someone that loves both bodyweight training AND weights than I recommend incorporating both into your training. The heavy weight lifting will help increase growth hormone (if you are going very heavy), among other benefits, and the bodyweight training will help improve overall functional strength. When Not To Use These Alternatives? If your only goal is to get as big as possible.. yeah, I mean SUPER big like Arnold then its best to stay with the weight-based exercises. The greatest benefit of weights as it relates to building mass is the increase in growth hormones and how simple it is to overload the muscle (add more weight). Bodyweight training CAN help build muscle and an incredible physique, however. If you are looking for that ox-like look of today’s top bodybuilders, stick to weights. If you are looking for a muscular, ripped, strong physique then bodyweight training is an effective alternative. I’ve listed out calisthenics alternatives to 45 popular gym exercises below (Yeah, I know my last article was a list of 45 bodyweight arm exercises. This was totally random that I ended up with the exact number. :)). You’ll find exercise alternatives for every body part. I’ve broken the sections down based on body part. 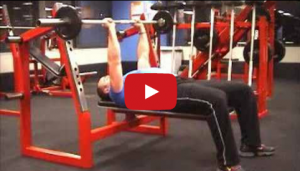 The bench press is used to strengthen then middle portion of the chest muscle group. The traditional push up will target the exact same areas of the chest and shoulder muscles. When you switch to an incline bench press you target the upper portion of your chest muscle group. The Decline Push Up is the bodyweight alternative. It will strengthen your upper chest muscle fibers. When you lower the bench you target the lower portion of your chest muscle fibers. The advantage of the Decline Bench Press variation is that you can continue to add more weight as you get stronger. The Incline Push Up can be done on any elevated surface. The higher the surface the easier it will be to it. If you are looking to strengthen the lower muscle fibers with a difficult exercise, than try ring dips. Dumbbell Flies target the Pec Minor portion of your chest muscles. The wider you keep the weights the harder the exercise will be. Just bring the weight close in to make it easier. 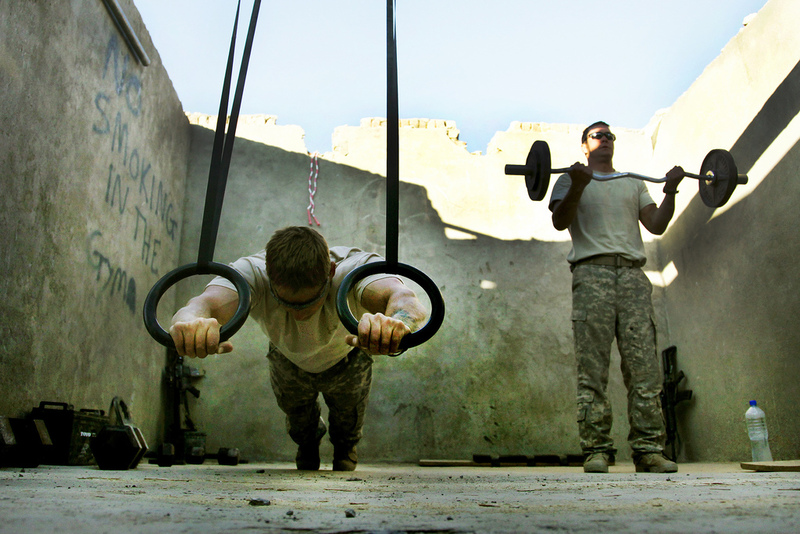 Wide Push Ups will target the same area, however, not necessarily in the same way. Another alternative is to grab a pair of circular weights and roll them in while doing a push up. When you keep your elbows outward they target more of the chest. When you keep them in they target more of the tricep. I’m a huge fan of dips. When I didn’t have rings I used chairs like the guy above. This is a fantastic exercise. Dumbell Presses strengthen the middle portion of your chest like the bench press. However, this exercise allows you to get more range of motion. Deep push ups will help target the same muscles as Dumbbell Presses. Make sure you have your feet on a chair too so you work the middle portion of your chest. The Lat Pull Down is a great exercise to target the lat muscle in the back. When doing it, lean back to target the lat. The Pull Up is an equally effective exercise. Make sure to think about using your back muscles as you pull up. This exercise will target the middle portion of your traps and rhomboids in your back very effectively. The Front Lever Pull Up is a very difficult exercise but targets the same muscles. In addition it also strengthens your core. When you are doing a seated cable row make sure you keep your back straight and pull from the back muscles. Keep your biceps as loose as you can. The Horizontal Bodyweight Row is a comparable exercise to the Seated Row. However, make sure you have your elbows tucked close to your sides. 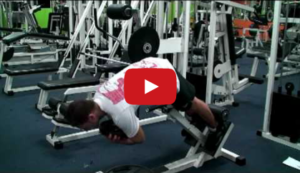 This exercise is great for strengthening the muscles in your upper traps. 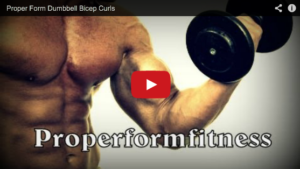 You can use a barbell, easy curl bar or dumbbells for this exercise. The Inverted Pull Up aka Batman Pull Up, will target the same muscle groups. The more elevated your feet are the more emphasis on the upper traps. T Bar Rows are another fantastic exercise for strengthening the middle portion of the back muscles. I just found this exercise. Kind of cool although its quite easy. You can drop your body lower to make it harder. This exercise will strengthen and build muscle on the front part of the shoulder. These are seated overhead presses but you can also do these standing. The handstand push up is the equivalent exercise. You don’t need to do a freestanding handstand push up. You can place your feet on the wall to maintain balance. Yes, I realize that the video is in another language. Yet, it shows the form of the Arnold Press very well. The Upright Row is another exercise that will strengthen both your shoulders and upper traps very effectively. The Elevator is an advanced gymnastic exercise that will target the same muscle groups along with many, many more. The Lateral Raise targets the middle portion of your shoulder muscle. The bodyweight alternative is the Iron Cross and is a much more challenging exercise. 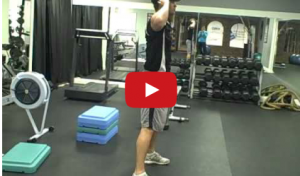 The Cable Front Raise is a great exercise strengthen the front part of the deltoid. You can use a cable or dumbbells. This exercise will work for more muscles than the shoulders. Keep just one foot on the bar to make it harder. The Rear Delt Row will strengthen the back part of your shoulder muscle. The One Arm Bodyweight Row is a fantastic alternative to target the back of the shoulder. The Barbell Squat is a fantastic exercise to develop the quads and the glutes. The benefit is that you get to add weight. The Bodyweight Squat works the exact muscles however you won’t be able to load the muscles like with weights. In the Smith Machine you sit further back targeting a different portion of your quads. Wall Sits are great replacements. You can even lift up one leg to make it harder. The Split Squat will hit the quads and glutes. The Stationary Lunge is a non-weight replacement. The advantage of walking lunges over stationary lunges is that it engages more of the glute. The Bodyweight Walking Lunge is a fantastic alternative to using weights. Steps Ups will engage both the glute and quad muscles of the working leg. When doing this exercise make sure you don’t hop or bounce to perform the movement. The Leg Press is target the quad as well as the glute. I made up this alternative awhile ago and its killer. This might be the most popular quad exercise. Here is an exercise that will target the quads as well. 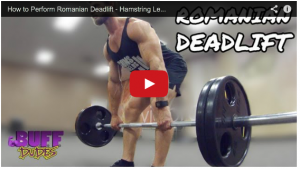 When doing the Romanian Deadlift make sure to have your knees slightly bent. 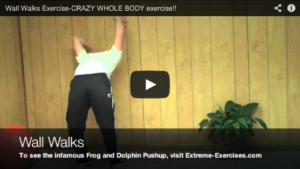 Wall Walks is one of the best calisthenics for back and hamstring strength. This is just like the Romanian Deadlift yet you will be keeping your legs straight. I learned this exercise from Al Kavadlo. Lift up one leg and do the normal deadlift motion. 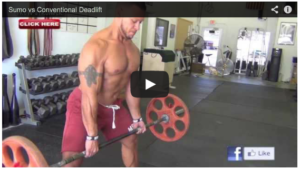 The Sumo Deadlift is where you have your legs wider. Elliott does a great job of explaining the difference. When doing the Back Bridge for hamstring strength make sure you keep your feet out wider than shoulder width. In this variation of the Glute-Ham Raise you add a weight. Its definitely challenging. I just found this DIY variation of the Glute-Ham Raise. Definitely going to try this! When doing the Hyperextension with (or without) weight make sure to don’t lift up too far. Here’s my boy Mike Fitch doing a wicked Elbow Lever variation that targets the same muscles. When doing this exercise make sure to thrust your hips forward to take full advantage of the movement. When I do Bridge Raises I perform singles because they increase the difficulty of the exercise like the above. Good mornings will strengthen the erector spinae muscle in the back as well as the hamstrings. The Bodyweight Good-Mornings variation is just like the weighted variation and is still effective. The classic exercise: leg curls work great for strengthening the hamstrings. This Standing Hamstring Curl is effective even though there is no weight. 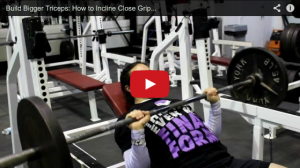 The classic “go-to” exercise for working your biceps. The Chin Up is the best alternative for the biceps. 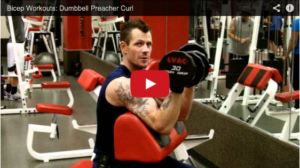 The Preacher Curl flexes the humerous which puts your bicep in a slightly different position then the traditional curl. The Upside Down Chin Up exercise is a bodyweight alternative that targets the bicep in a similar way. Concentration curls are a great exercise to add extra load to the bicep. 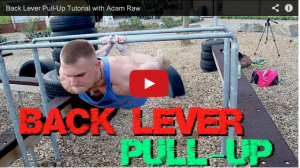 The Back Lever Pull Up, although difficult, can load the bicep in a similar way. Hammer Curls are super effective for strengthening the biceps. You can use TRX bands or simple a bar to curl up instead. Dips target the triceps very effectively. You can use weight or just bodyweight. 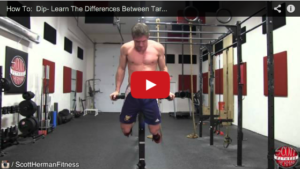 Here’s a weighted exercise that will help load the triceps muscles very well. When you place your hands close to the body you’ll achieve the same effect. By elevating your body you work the triceps muscles from a different angle. In order to perform the bodyweight alternative, place your feet on a bench. Tricep Extensions will isolate the triceps as you work them. You can do many variations using just your own bodyweight. Skull Crushers help to pace the emphasis in a slightly different angle. Tiger bend push ups are a great replacement. Place your elbows down to make it harder. 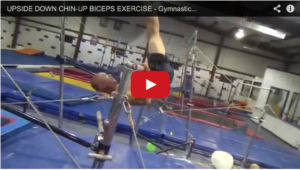 A classic exercise to help strengthen the triceps. No need for weight, just stay in good form. Keep just toes on the platform to strengthen the calves. Here is a great bodyweight replacement. Switch up to just one leg and you’ll really be feeling the burn. Of course, no need for weights with this great exercise. When doing seated calf raises you’ll be targetting the muscle from a slightly different angle. Here’s a unique variation that will put your body in a similar position as the seated calf raise. The different variations of bodyweight exercises are endless. Our bodies truly are beautiful creations that can move in an endless variety of patterns. The above list is just scratching the surface of ways our bodies can move. Hope you learned something from this list of bodyweight alternatives. Next time you are traveling and don’t have access to a gym, create a bodyweight workout routine based off of these alternatives. You’ll find your functional strength go through the roof! Hey Todd, are there any alternatives to dumbbell/barbell cleans and snatches? i think (may be) dips, muscle ups, pivoting yourself (exploding from) standard pushup pose to handstand or pullup to lever. Maybe a burpee handstand push up? That’s a tough one Eric. Thanks Raza! Good hearing from you! Personally I believe the falling tower and bridging exercises are good deadlift substitutes. Especially bridging. I’ve been doing a high frequency weight training plan since february and I burned out on it last week, so I’m going to use these bodyweight versions in my workouts. Damn this is really good stuff. I’d never even heard of half of these. I’m more of a gym guy, but I’m bookmarking this for when I travel. This is by far one of THE best posts I’ve seen! I’m mainly training on bodyweight so this one I will save; of course some of the exercises are really tough, but I’m sure I’ll have em in time 😀 thanks! Thumbs up to you man. Does añyone know an exercise I could use for bent over cable rows and bent over barbell rows besides the exercise he has listed?